Have you heard the good news yet, Center City? Come late summer you won’t have to cross Broad Street anymore for your sweet potato fry and Groothie® fix. We’re expanding and can’t wait to show you our new spot in the heart of Center City. With more locations sprouting up across the city, we’re excited to bring our 100% plant-based menu to more and more people across Philly. We’re eager to join our neighbors in the North American Building located at 121 S Broad Street, only a short walk from City Hall and the Market-Frankford Line. We’ll be serving our full menu with all your favorites, including the Ziggy Burger, Crispy HipCity Ranch, and of course the award-winning Groothie®. We are incredibly excited to add this location to our ever-growing family, spreading the message of healthy, delicious, plant-based meals to Philadelphia and beyond. 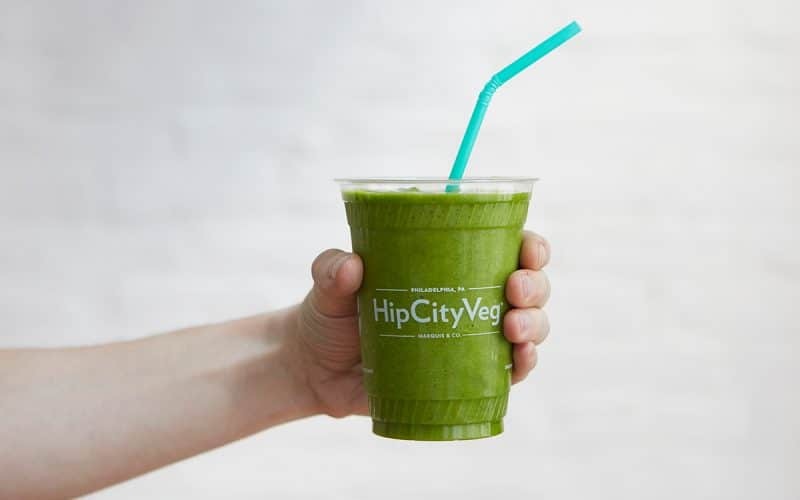 With three total Philly locations across Rittenhouse, University City, and now Center City, you won’t have to travel far for a healthy, delicious, and vegan-friendly meal. Summer is about to get even better in Center City – stay tuned for more details and opening dates.